The matching segmented-top white marble gravestones (they probably wore matching bowling shirts, too!) 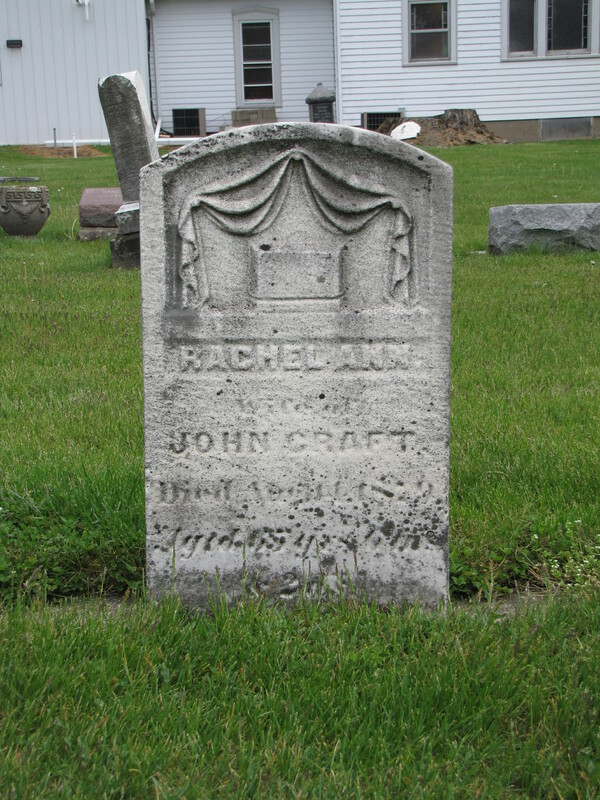 of John and Rachel Ann Craft, husband and wife, are located at the First Baptist Churchyard in Kingsbury, Indiana. 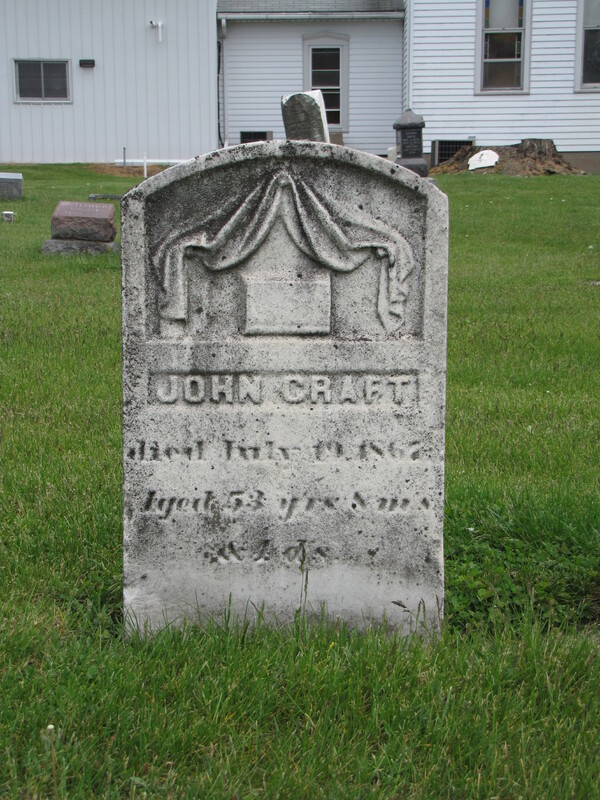 Each gravestone displays curtains which are pulled back to reveal a coffin. The lifted curtain represents the passage from one realm to another; the veil that exists between the Earthly realm and the Heavenly one. The coffin is a mortality symbol to remind the viewer that life is short and that we will all soon die. This motif also depicts the Victorian custom of the body laying in state in the family’s parlor. It was also customary that nearly everything in the parlor would have been draped in fringed and tasselled black cloth to express the family’s mourning. The draperies would have been kept in place for quite sometime even after the body was removed to the grave. This would allow the family to continue to mourn and to express their sorrow. I have noticed many of those roadside crosses, too. I am not sure when or where that tradition began. I think in most cases they are actually marking the spot of the accident which took the life of the person memorialized by the cross. A sad reminder of high number of highway fatalities.